Debra is the founder of Sunderland Coaching, LLC. With decades of executive and team coaching, she supports executives and their teams in creating an empowered, internal culture – in a diverse range of industry: hi-tech, wealth management, engineering, healthcare, marketing and more. An expert in transformational leadership, culture build, and group dynamics, she specializes in building trust and collaboration; teams that achieve their strategic objectives in an empowered environment. She is passionate about people living full, abundant lives and creating what they most want. Debra graduated from Miami University, holds a degree in Psychology, a certificate in Corporate Goal Coaching, CTI Co-Active training and The 15 Commitments of Conscious Leadership. She lives and coaches clients in both Nashville and Chicago. 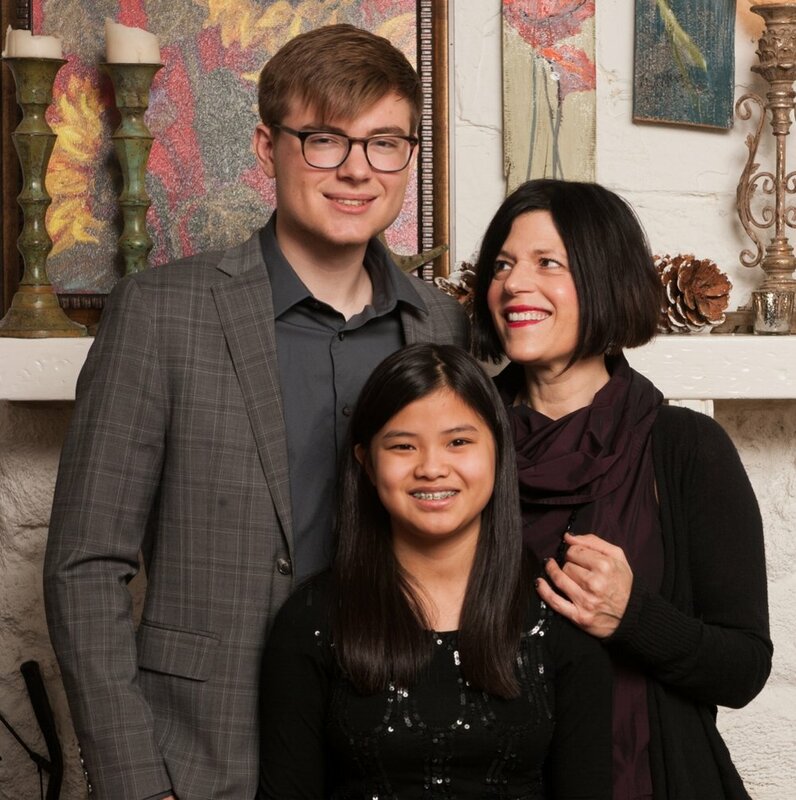 In addition to coaching, Debra is passionate about the arts, cycling, fitness training, and spending time with her children Isabel and Luke, and their dog Kit. My journey in life began living with a physically and emotionally abusive mother and an alcoholic father. My life was a spectacle, a series of incidents for my neighbors and schoolmates to read in the news. At a young age it became vital to trust my own thoughts and have faith that I could attain whatever I desired. I had to learn this to survive. By age 19, I was thrown out of my home. With no shelter, money, food or support, I worked four jobs and lived with friends. I managed my pain and insecurity by becoming a compulsive overachiever – academics, music, sports and work - constantly in overdrive to be the best in every area of my life. When I was ready to finally face myself, I became aware that my pursuit of outward perfection was preventing me from knowing and living as my authentic self. This realization inspired my personal growth work, and I began to understand the immense power of my thoughts and choices. I found my way to peace, joy and true purpose. Now, I align who I am with what I do, and choose to believe in my greatness despite messages of the past. These shifts bolstered my emotional intelligence, my self-awareness and brought me further than I ever thought possible. I do not regret my struggles because they taught me to choose forgiveness, love, and acceptance, even in the face of impossible odds. These concepts are the foundation from which I coach and guide others. One of my greatest joys was discovering my love for competitive cycling – spending 15 plus hours each week training with my coach and team. Beyond developing new skills and discipline, racing was a way to practice overcoming fear. I had no idea this practice would save my life. It was a June day, with only three laps to go, and I knew I was headed for the podium in the 2013 Glencoe Criterium. I suddenly found myself trapped between other racers – someone bumped me and I was sent sprawling to the pavement. My head, neck and ribs on the right side of my body were crushed when I slammed into the curb. I began convulsing. Having suffered severe traumatic brain injury, the paramedics did not expect me to survive the trip to the hospital. I was placed in a medically induced coma and put on life support. The doctors told my friends it was a miracle that I had survived such an accident. Even without my conscious awareness, my body and mind already knew how to keep going, even in the face of death. My entire life had prepared me for this. As my brain healed, I understood its power to give or take life in an instant. We each have the power to think, believe and create our reality. We can choose life or death – not just physically - but emotionally and spiritually. The power we have is a conscious choice. This is why I am so passionate to share my experience with others – where we focus our thoughts can allow us to overcome almost anything. My children have become incredibly mature through home schooling and life experiences. Currently, my son Luke attends Belmont University in Nashville and is an accomplished classical guitarist, studying commercial music and business. My daughter Isabel is a leader in her high school class, participating in Model UN and pursuing neuro-psychology. I am honored to have created an environment that fostered and promoted their unique gifts. I am delighted that early in life, Luke and Isabel have come to know their greatness. Every day, they joyfully share this with others. This is my hope for all people! It is my purpose and calling to help others find their own and create presence, joy and fulfillment in their lives. My near-death experience taught me that living joyfully and fully is a choice. I now live to coach those that want to institute deep change in their life, to align their unique being with their doing. While this applies to every person, this is the foundation for transformational leadership and the creation of a successful and sustainable workplace. You have the power to lead a successful life of meaning and joy. Debra Sunderland is a nationally acclaimed female entrepreneur, certified leadership coach, motivational speaker and author featured on Fox national and local news, Crain’s Chicago Business, the Chicago Tribune, Chicago Sun Times and 190 N Television.